Lock in a great price for Hotel the Lutheran – rated 8.4 by recent guests! Good location. Close to the subway station and Osaka Castle. The room is bigger than other hotels in Japan. Super clean. Perfect location, 5 mins walking to Osaka castle, 1 min from metro station. All travel spots ( Umeda, Shinsaibashi etc) are within 4 stations. Stayed here for Sakura viewing. Very near Osaka castle. Next to Tanimachi 4 chrome station (Yonchome). One transfer from Tennoji so easy to move bags. 15 minutes walking to sakura viewing areas, Kema Sakuranomiya park and Osaka Mint. The staffs are very accommodating and helpful. The food was great and it's good to know that they serve Japanese food. Osaka castle is very very near. Big room size compared to usual Japan local hotels. Breakfast is good. Walking distance from the local subway but far from JR Lines, none the less those lines are interconnected. Near Osaka Castle 5 minute walk. There's lot of good restaurants along the crossing intersection near the hotel. Bed is not that soft but comfortable enough. 🍂🍁👍🏻 Overall it is very good! The bed was comfortable (hard mattress) and the breakfast was good. Very close to the Osaka castle and good public transportation. 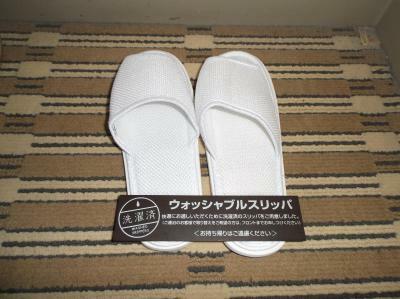 This is a good value-for-money hotel in Osaka. One of the most affordable of the ones I have seen around. There are no special thrills or anything, but you get what you pay for. The room is a little small but clean enough. 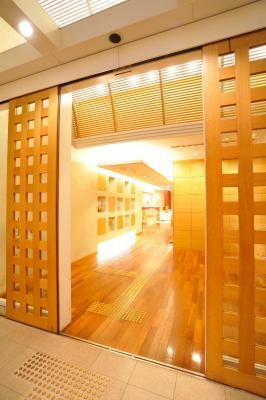 The hotel is conveniently located next to Osaka Castle, the subway station and 3 convenience stores. (A 7-11 is a 30 second walk from the hotel). Has all the amenities needed - toiletries, a kettle, television, telephone etc. 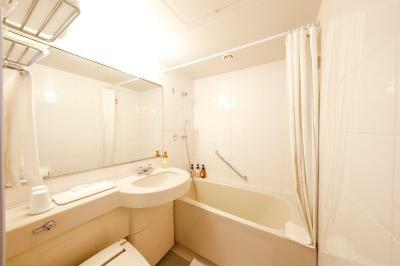 Great location near the metro station and Osaka Castle, 4 stops to Dotonburi on the metro. Restaurants around the corner- an excellent base for sightseeing in Osaka. The location close to the subway train station and convenience stores. Walking distance to Osaka Castle Park. Were able to deliver luggages a day before we arrived thru 7 11. Then left luggages for 2 days w/o charge so we can just bring small backpack to HIroshima and then back to the hotel. Hotel the Lutheran This rating is a reflection of how the property compares to the industry standard when it comes to price, facilities and services available. It's based on a self-evaluation by the property. Use this rating to help choose your stay! Hotel the Lutheran is centrally located in Osaka, a 1-minute walk from Tanimachi Yonchome Station Exit 1B. It offers a massage service, a restaurant and Western rooms. Free WiFi is available in the rooms, as well as at the lobby and the restaurant. Guest rooms offer both air conditioning and heating facilities. 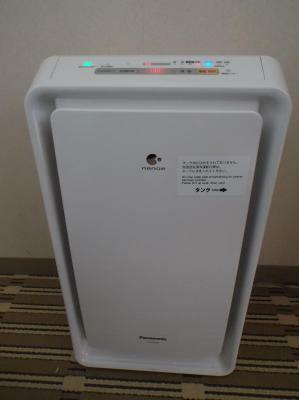 Each room has a humidifying air cleaner, a fridge and a flat-screen TV. The private bathroom comes with toiletries and a bathtub. 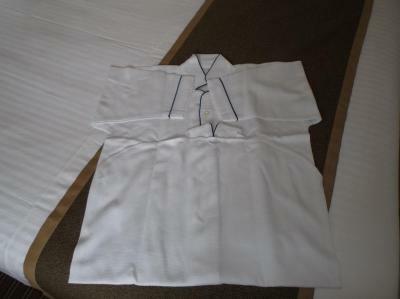 The hotel has a 24-hour front desk, and it is set up barrier-free for elderly and handicapped guests. 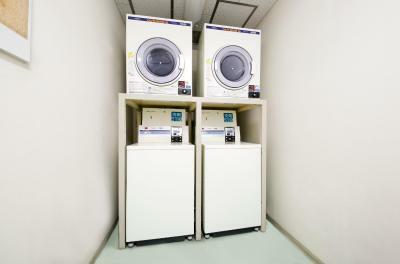 Facilities include luggage storage and coin-operated laundry machines. 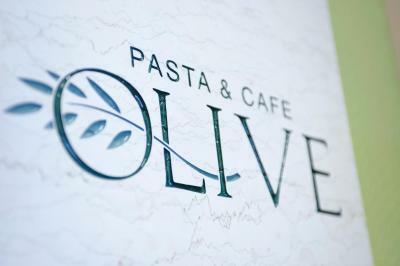 Restaurant Olive serves a daily breakfast buffet, with Western and Japanese dishes. Western food is offered for lunch. 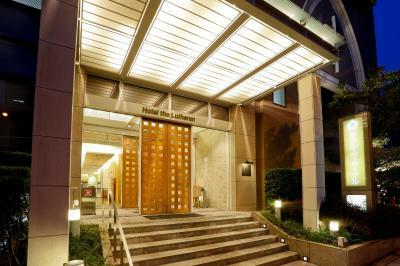 Lutheran Hotel is a 15-minute walk from the Osaka Castle and 1.9 mi from shopping area Dotonbori. 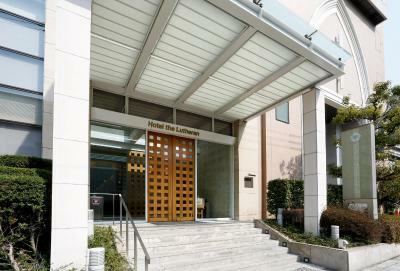 When would you like to stay at Hotel the Lutheran? Guest rooms offer both air conditioning and heating facilities. Each room has an air purifier, a fridge and a flat-screen TV. The private bathroom comes with toiletries and a bathtub. Free WiFi is available. House Rules Hotel the Lutheran takes special requests – add in the next step! Hotel the Lutheran accepts these cards and reserves the right to temporarily hold an amount prior to arrival. Please note a nonsmoking request cannot be guaranteed and it is subject to availability. Take the JR Haruka to Tennoji Station. Transfer to the Tanimachi Subway Line and get off at Tanimachi Yonchome Station. Go out Exit 1B and the hotel is just 100 feet East of the convenience store on the left side. Please also be informed that extra charges are applied if the number of guests exceed the maximum room occupancy. Extra guests may be required to book an additional room for themselves in order to stay at the property. Staff don't have the best English but still manageable. Nothing I didn't like about this place really. A ten out of ten! I loved my stay with Hotel Lutheran sooo much! The rooms are small but sizable - very typical size in Japan. It's clean and very comfortable. We went in spring to see the cherry blossoms. First I was really worried that the hotel wouldn't be warm enough (I really fear and dread the cold) but it was just perfect temperature in the rooms. Secondly, the location is superb! Yes, it's far away from the busy areas such as Namba, Dotomburi and Umeda but it was just what I wanted. Especially during sakura season, you'd want to be close to Osaka Castle where there is lush and beautiful flowers all around. It was about an 8 minute walk to Osaka Castle ground. Because the grounds are so close to the hotel, we were there snapping photos and enjoying the cherry blossoms every morning, afternoon and evening. 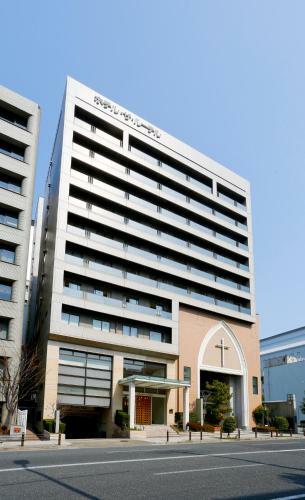 It's also really close to the subway station: Tanimachiyonchome (or 4-chome). The closest exits to the hotel are: Exit 1a (lift and escalators) - Turn left and left again. The walk is about 7 minutes. Hotel on the left. Exit 1b (stairs only) - Turn left and walk for 4 minutes. Hotel on the left Many nice eateries around and more affordable that the touristy places like Dotomburi. The cherry on top which we looooved was the breakfast! Never in all my life have I had such a good breakfast. There was grilled salmon, miso soup, takoyaki, chicken karage, croquets, salads (western and japanese style), rice (western and japanese style), tofu, noodles, curry, etc. It was endless and all so delicious! Very unique and lovely breakfast. We would come back just to have the breakfast here! We were allowed to leave our luggage and actually requested to leave our luggage for a few days after check out and the staff were happy to accommodate (we didn't do so in the end due to change of plans but they were very kind to have agreed). We requested for rooms next to each other. Room was very small, pillows were hard as rocks. No room to put bags as there was minimal room around the bed. You paid for the location as opposed to the room with this one. Staff were very helpful and breakfast was good. 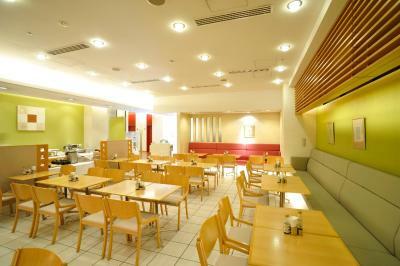 Good location right near Osaka Castle and a subway entrance. Rooms were very clean and amenities were decent. Very good breakfast with a fair price. good location and very near to the station, easy to explore everywhere. The bed was not comfortable at all which is the only real fault I can give since everything else was great. Not so friendly staff. Weak Internet connection. Lack some basic amenities. Small room. Everything was great, clean, nice breakfast, good location. We booked last minute and didn’t expect too much as we only paid about £60 but we were presented with a large room with huge bed. Very clean. Bedroom and bed are quite small. Very well located. Good value for money. Very close to subway station and osaka national museum is about 5 minutes walk nearby. Room is small and clean. In general it's a good place to stay in osaka. Lady staff in the breakfast area appeared quite aloof. When my wife asked if the egg was boiled she replied 'no' quite abruptly and appeared disinterested in helping. I ate one of the eggs and it WAS boiled. Rooms were okay but rather small with one side of the double bed up against the bathroom wall which disturbed my sleep. Quiet room with the usual appliances, small TV though. Conveniently located next to subway and the Castle around the corner. Breakfast was good with good variety. Nice location and spacious room.